Creating a case for the Galaxy S9 PLUS. Made of a high quality silicone. Your best memory on the back of your case. A subtile but solid protection. 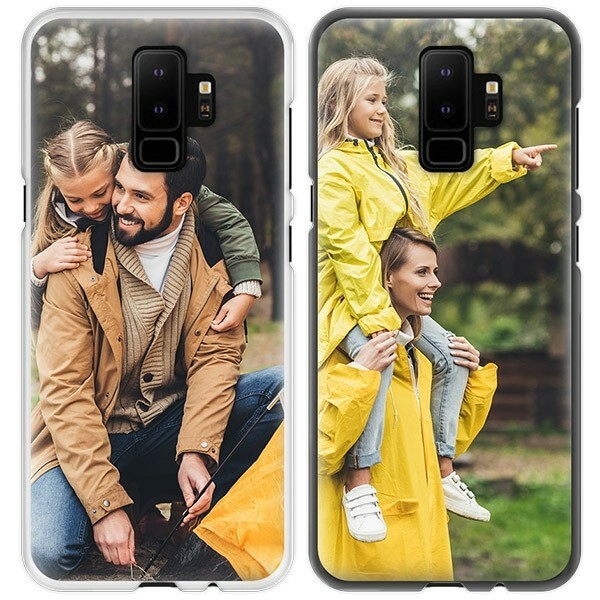 The soft cases for the GoCustomized Samsung Galaxy S9 PLUS are fully flexible. The case gives your phone an extra protective layer, consisting of silicone. The Galaxy S9 case should certainly protect your phone against drop and impact damage, because this phone is very delicate. The case works as a shock absorber for your phone. 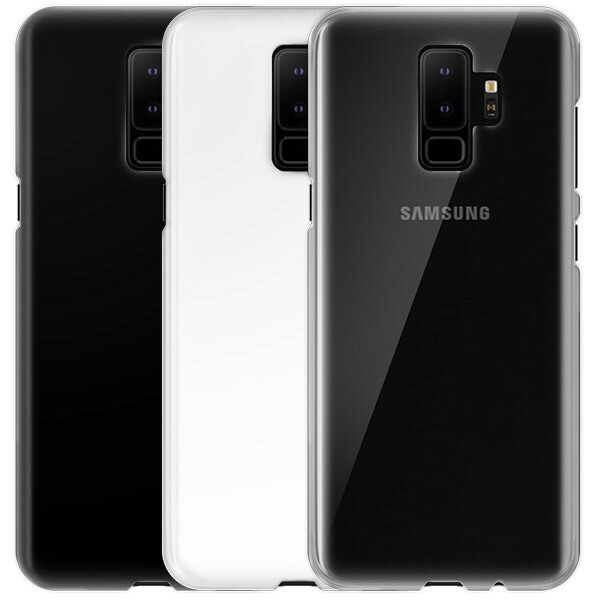 This soft case follows the shapes of your Galaxy S9 perfectly, so it is a very subtle but also sturdy protection. Thanks to special printing techniques, the photo or image you choose remains beautiful in color and stretches elastically with the cover. The cutouts ensure that the new jacket of the phone will not get in the way of all the important buttons. For a nice effect, use your own photo. You can easily upload it via Facebook, Instagram or the hard disk of the computer. You can then place the image on the cover as desired by turning, enlarging or reducing it. If you also want to add a personal text, of course this can also be done in different formats, colors and fonts. With us you are the designer yourself and you decide how the case will look! What steps do I take in the shopping process? 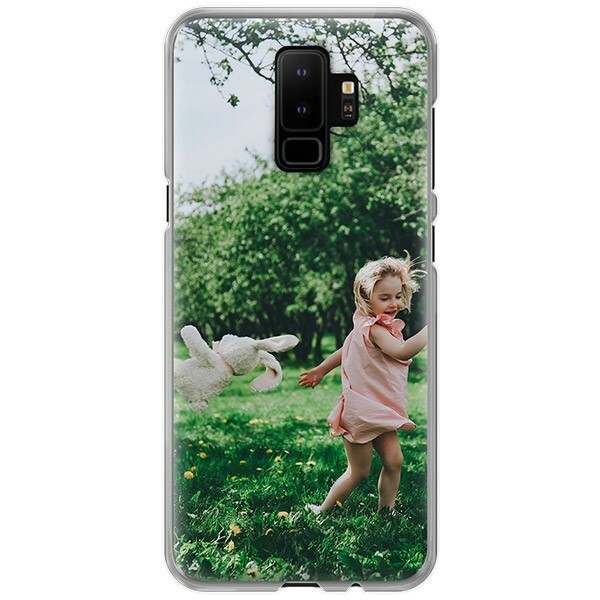 Are you ready to create your Galaxy S9 PLUS case? Then check your design again in the shopping cart. As soon as we have received the payment, we will immediately start working for you. Choose the shipping method that is most suitable for you and follow the payment instructions from the bank. 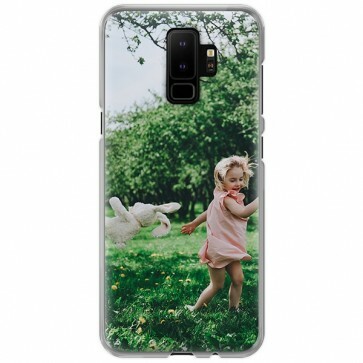 Within a few working days you have your own Samsung Galaxy S9 PLUS case! Do you have any questions? Please contact our customer service. We are happy to help you!